Google's Penguin 4.0 algorithm, the real time granular version, is now fully rolled out. 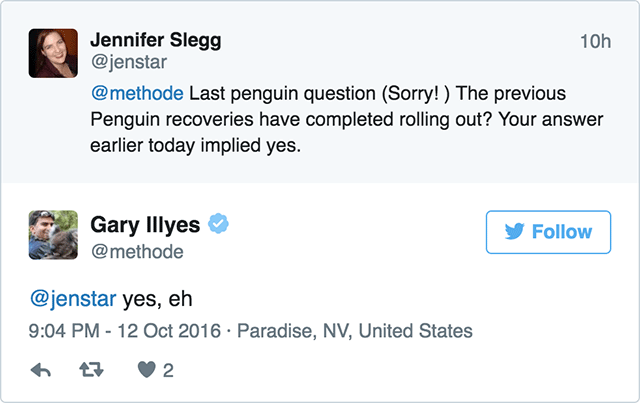 We've been covering Penguin forever and more recently now since it started rolling out sometime around September 23rd. 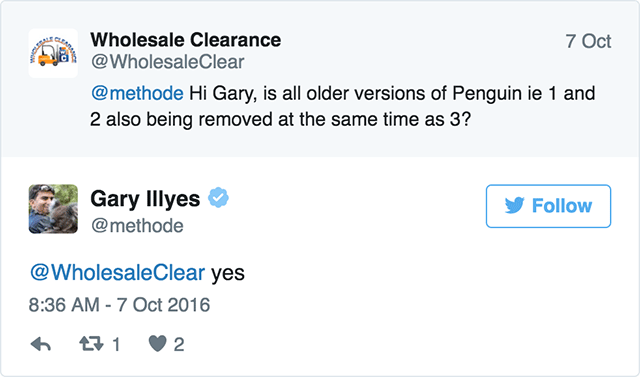 Gary Illyes from Google told us a week ago that it should be completely rolled out soon and now it is. 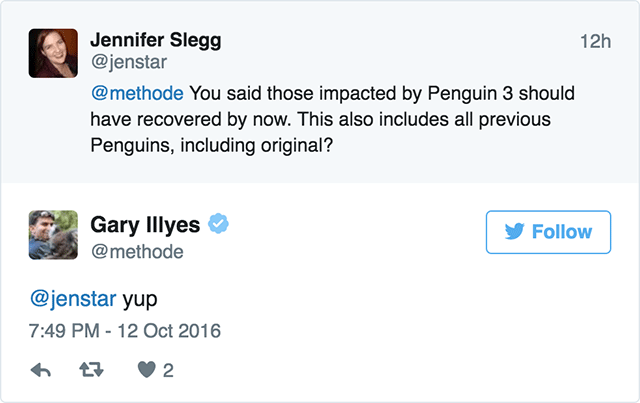 So Penguin 4.0 is fully live and if you did not see any level of recovery yet, I guess you still have work to do. Catch up on our Penguin coverage over here.